We have new puppies! Please also check out our Upcoming Litters! Bunji Australian Labradoodles is located in Michigan and is dedicated to breeding healthy and well-balanced Australian Labradoodles. We utilize Puppy Culture, Bio Sensor Method, extensive socialization and desensitization, and positive clicker training as a huge part of the sound temperaments in our puppies. We began breeding out of a great love for these gentle and wonderful dogs. We specialize in breeding multigenerational medium Australian Labradoodles with non-shedding, and asthma/allergy friendly coats. These happy and sweet dogs make the perfect family pet! 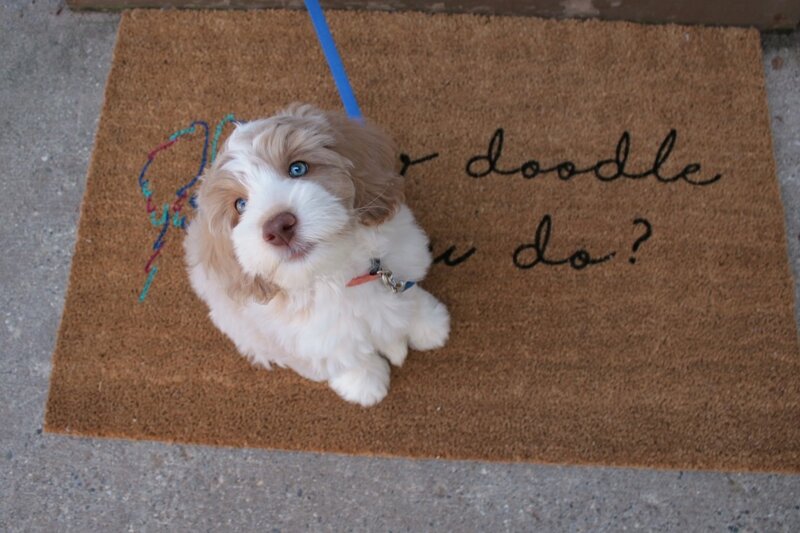 We are an Australian Labradoodle breeder located in Midwest Michigan. We offer top quality dogs with an emphasis on structure, health, and temperament by using state of the art testing, socialization, and training techniques to insure that our puppies become memorable members of your family. Please check out our Things to Know page and our FAQ for more information.